There is no better way to see everything Fort Myers has to offer than by getting behind the wheel of your E-Z Car Rentals rental car. Stop spending your vacation waiting on the bus, or being nickel and dimed with ride-shares or taxis. Having your own ride enables you to go to the attractions you want to see the most, whenever you want. Make your upcoming vacation to Florida more enjoyable with an E-Z Car Rentals rental car. Fort Myers is a perfect town when you want some respite from rat race of a big city. Many travelers come to check out Fort Myers's attractive setting. Whatever you decide on first, you'll want to check out as much of Fort Myers as possible while on your trip. And if you need to see what else is around Fort Myers, then get in the driver's seat of your E-Z Car Rentals car rental and see what else is out there. We work with the finest companies, like E-Z Car Rentals, because they are known for their successful track record in providing visitors with the best vehicles. We can help your journey get off on the right foot. How do I get the best deals on a Fort Myers E-Z Car Rentals car rental? We strive to get you the lowest rates, no matter when you book. However, getting your car well ahead of your trip can help you save even more. Be sure to check the mileage policy and don't add an extra driver to avoid any surprise fees. What do I need to bring when I get my car rental in Fort Myers? How old do I have to be to rent a car in Fort Myers? 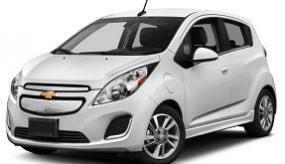 E-Z Car Rentals's minimum age to rent a car in Fort Myers is 21. Take time to go over E-Z Car Rentals's policies, as there may be limitations if you are under 25 in most cases or for higher category rentals in particular. Is there a particular vehicle I should get for my trip to Fort Myers? That all depends on your needs and what activities you want to do in Fort Myers. 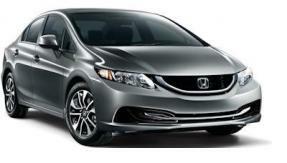 Compact or economy automobiles are easier to park and ideal for short drives. Commute times in Fort Myers are around 27 minutes, so you may find a mid-size vehicle or SUV provides a more comfortable ride. If you want to lower your emissions and save on gas, then pick a hybrid vehicle. Those looking for a dash of luxury on their Fort Myers trip can choose a higher-end category like a Mercedes C-Class or Cadillac XTS or similar. In the United States you do need to have insurance before you rent a car. Many of the major credit card issuers (Discover, American Express, Visa and MasterCard) typically offer coverage. But many of them have prohibitions, such as not covering large vehicles, like premium models or some SUVs. Make sure to call your credit card company and find out what kind of coverage is offered before you head to Fort Myers. Otherwise, as a U.S. citizen, you can purchase Collision Damage Coverage with CarRentals.com at checkout. E-Z Car Rentals does require a deposit when you book your rental. E-Z Car Rentals will block the deposit on your credit once you book your rental for your trip to Fort Myers. Please note that the deposit will vary greatly based on the make and model of the vehicle. We recommend a full to full policy. You pick up your E-Z Car Rentals rental topped off. If you return the rental with less than the amount it was given to you, most companies will charge a premium, and sometimes up to triple the amount of current gas prices to refill it. If you want to keep your expenses lower, it is best to fill up your tank before you bring your car back to E-Z Car Rentals. Do I need unlimited miles when I rent a car in Fort Myers? Fort Myers's small-town atmosphere definitely has its charms, however you may want to hit the road again after you've checked off all the activities in Fort Myers. If you are hoping to add a dash fun to your Fort Myers trip, you can also head to Zoomers Amusement Park and enjoy an evening taking on the park's attractions. Does E-Z Car Rentals offer one-way rentals in Fort Myers? E-Z Car Rentals offers one-way rentals in most cases. You may find it more convenient to return your rental car at a different E-Z Car Rentals. However, there is typically an additional fee when you opt for one-way. With so much to do and see in Fort Myers, having your own vehicle lets you explore at your own pace. When you're ready to check out more of Florida, you can drive when you want to, without having to coordinate a ride-share or spend time waiting for the bus. Before your next vacation, book your E-Z Car Rentals Fort Myers rent-a-car and take off to all the must-do activities at your leisure. Reserve through CarRentals.com and speed along the highway in Fort Myers, Florida.